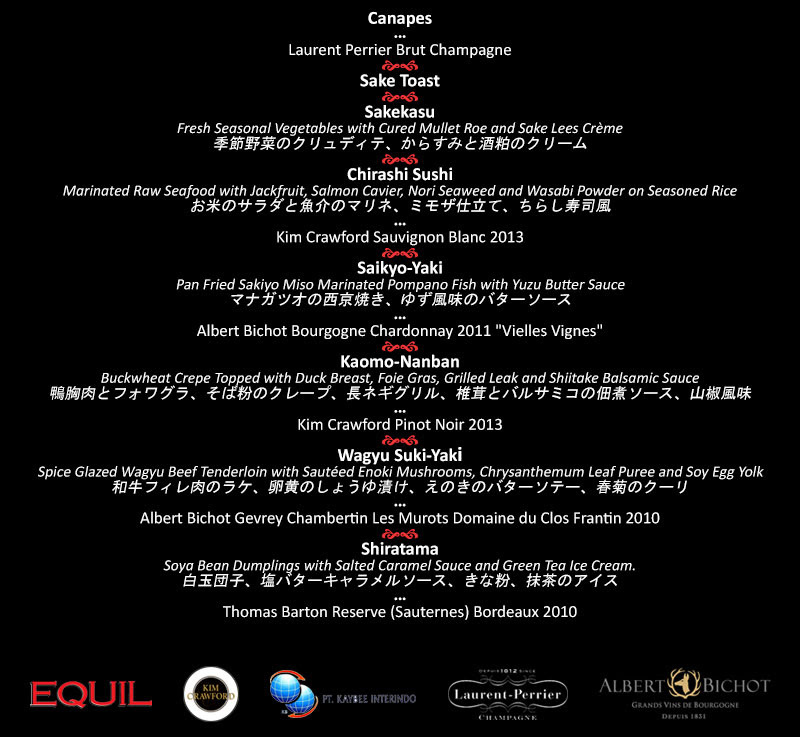 Junichi Shibata Dinner at CasCades Restaurant Bali! HomeArticleRestaurants Junichi Shibata Dinner at CasCades Restaurant Bali! Attention to all Japanese food enthusiasts in the Island of Paradise! We’ve got some exciting news for you–brought by Viceroy Bali. Yes, Junichi Shibata, the owner and chef of Rue De Shuri Restaurant in Tokyo, Japan, is bringing a 6 course traditional Japanese degustation menu exclusively to your table. CasCades executive chef, Nic Vanderbeeken, will join Chef Junichi to bring the most unforgettable Japanese cuisine experience that you will ever experience. The price is Rp. 1.250.000++ per person, and Rp. 2.050.000++ with wine pairing. Save the date, MAY 6th 2015 at 7 pm, exclusive only at CasCades Restaurant Bali! For set menu, please see below. The post Junichi Shibata Dinner at CasCades Restaurant Bali! appeared first on Qraved Journal.